JASPER -- The lights are back on near the Dubois County Highway Garage today after a power outage that lasted several hours for some folks. 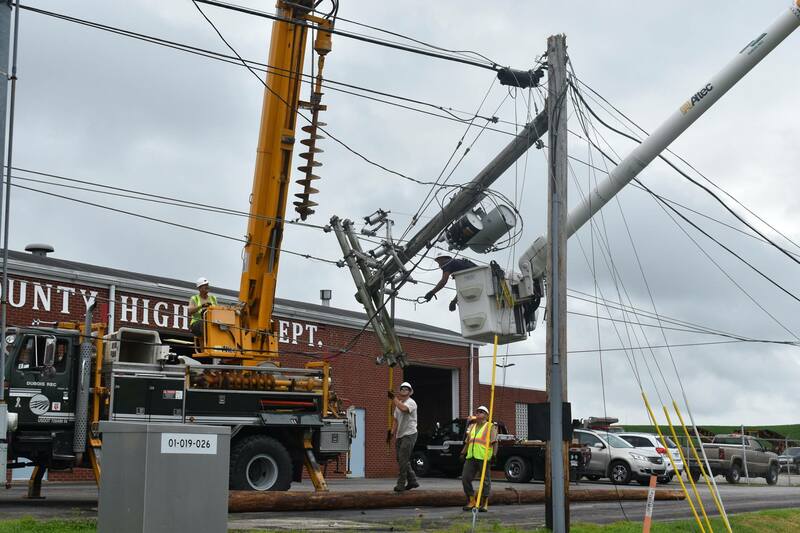 A truck accidently ran into a 3-phase line yesterday morning, bringing it down and breaking two utility poles. At the peak of the outage, more than 400 customers were without power. Crews with the Dubois REC converged on that area with multiple trucks and plenty of manpower to the lights back on. 300 or so customers had power restored early in the afternoon. But for the rest of the customers, they were without power until about 3:30 yesterday.